Stephen King doesn’t like to explain things. He’s normally content to just let them be. Christine is just a car that kills people, Carrie is just a girl with telekinetic powers, and Cujo just has rabies and tries to kill everyone. My favorite short story of his, in fact, goes like this: a little kid is sitting in class and he really has to go to the bathroom, but he’s afraid to go to the bathroom, because he knows if he does he will be eaten by the tiger that lives in the bathroom. So he agonizes, for several pages, over what to do, but finally gives in, raises his hand, gets excused…and gets eaten by a tiger in the bathroom. The end. It usually works, King’s preference to say, “This is my world, deal with it” and then simply tell his story. 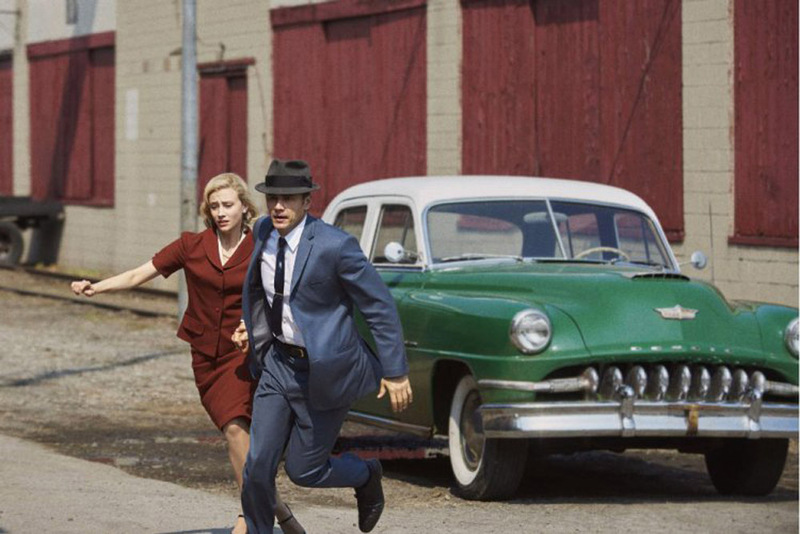 But the suspension of disbelief required of the viewer in Hulu’s serialized adaptation of the writer’s 11.22.63 is almost too much, and very nearly ruins what’s a very enjoyable second half. 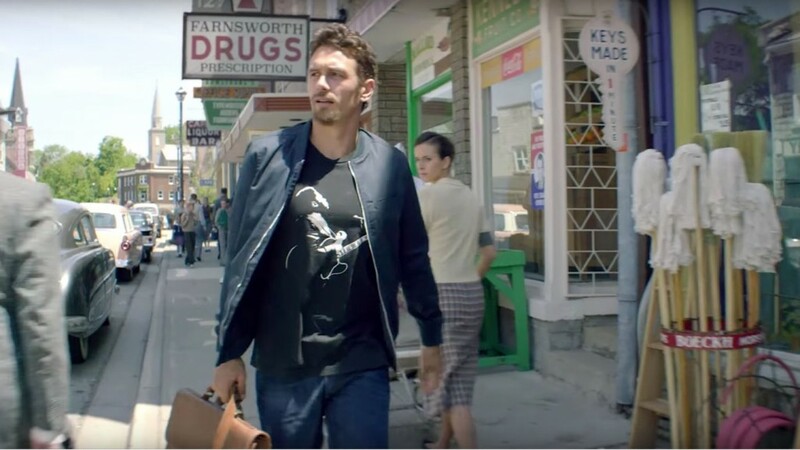 James Franco plays Jake, a high school teacher who’s signing his divorce papers down at the local diner at the opening of the episode. Chris Cooper’s Al, who runs the place, disappears into the back while this is going on—presumably because he thinks two people ending their marriage over milkshakes at the local greasy spoon is as awkward as we do—and returns two minutes later looking much older, and very, very sick. Come to find out he has his very own time travel closet, and boy, does he have a job for Jake. And this is when things start to fall apart. In the span of five minutes, we learn the following: 1) Al has had a time travel closet in the back of his restaurant since he bought the place; 2) every time you go through it, you emerge at the exact hour, minute, and second of the same day in 1960; 3) no matter how long you stay, only two minutes elapse in the “real” world; 4) every time you re-enter the time portal, any changes you made the last trip are erased; and 5) this thing was put here so Al could prevent the assassination of JFK. And… that’s it. Where’d this thing come from? Who knows! Why does it always take you to exact same place and time? Who cares! Just let it be! Cooper’s Al tells Jake he thinks this portal was put here to prevent JFK’s death. The reasoning is: save JFK, Lyndon Johnson never becomes president, Vietnam never escalates, etc. etc. etc. But while recounting one of his own trips where he had a close encounter with JFK’s assassin, Lee Harvey Oswald, Jake asks why Al didn’t just kill him then and be done with it. Al’s reply? He has to first prove Oswald killed Kennedy, because he can’t have an innocent man’s murder on his conscience. Granted, this crisis of conscience sets up the investigative strain of the show; but the viewer almost immediately wants to scream: If every trip through the time portal resets all the changes previously made, what would be the harm in killing Oswald, coming back to the “real” world to see if it mattered, and then, if not, just going back in time again to reset it? 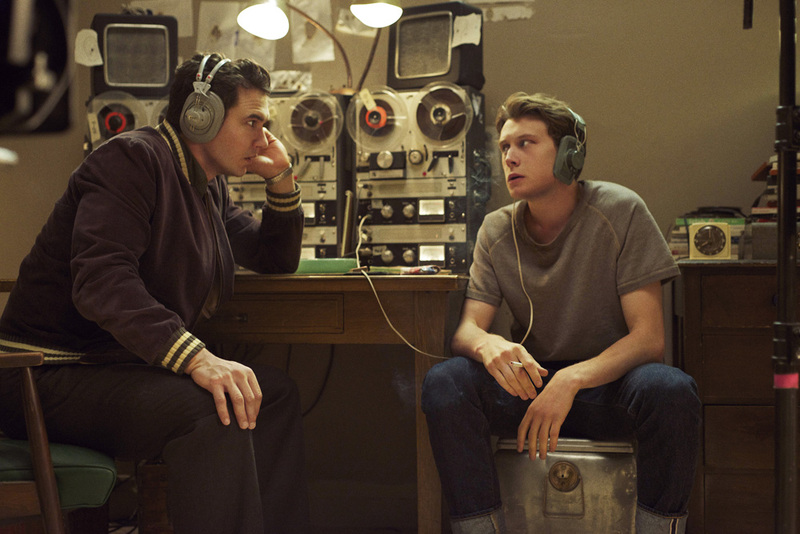 The point is, this too-long pilot spends an inordinate amount of time setting up its own unjustified rules, to the point that, by the time Franco’s Jake takes over Al’s mission and goes back in time to learn the truth about JFK’s murder, the viewer barely cares anymore. And what a shame that is, because once Jake does dive head first into 1960, the pilot hits its rhythm. There are several clever bits—Jake, knowing the outcomes of countless boxing matches, makes an absurd 35-1 bet, then seems surprised when his bookie ain’t too happy about paying up. And when someone breaks into Jake’s hotel room, a dancing animal video on his iPhone screen provides just enough distraction to the future-struck robber for Jake to get the jump on him. And there are darker moments that work, too. Al tells Jake, in much the same vein as the Final Destination movies, that things are supposed to be a certain way, and when you try to mess with the past, it messes with you right back. We see this demonstrated through a fiery car crash that destroys the payphone with which Jake was trying to call his own father (before Jake himself was even born). The driver of the car, lying bloodied and close to death amidst the wreckage of her car, looks at Jake and says, “You shouldn’t be here.” Indeed. And later, a young boy dies in a house fire cosmically designed to destroy Jake’s research notes on Lee Harvey Oswald. And the episode also ends with a satisfyingly intriguing twist: Jake, after the aforementioned house fire, has decided to abandon his mission (sure he has), but before returning to the present decides to prevent the murder of the family of a student and janitor at the school where he works. The final shots are of Jake watching the child of his janitor friend being gleefully lifted into the air by his smiling father: the man who will, that very night, kill everyone close to the boy. All in all, this pilot is really a tale of two halves: You have the setup, wherein a nonsensical time travel plot is unsuccessfully justified to the viewer, performed so poorly the urge to simply change the channel and say, “I decided I don’t want to write this review” is almost overpowering; and then you have the story proper, when Jake really begins his investigation of Oswald in earnest, and eventually decides to try to right a different, much more personal, wrong from the past. This latter part is so good, it’s almost enough to make you forget how terrible the opening half was. Almost.